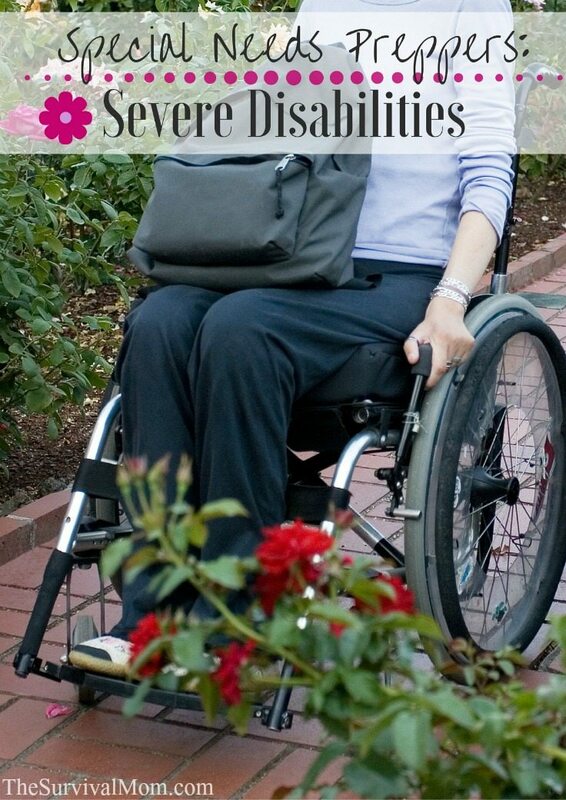 Preparing for people with severe disabilities is a topic that isn’t covered much, because I feel like the general consensus is that the sick and disabled will, in fact, be the most susceptible and first to go. I have twins with cerebral palsy. One son is highly functioning, and if something were to disrupt his care, the worst that would come of it is that the bracing we have to continually re-adjust would not be done and he could wind up with less than perfect growth, but he could live and survive. The other is another story. He is total (think nursing home) care. We’ve worked hard to stock additional supplies, back up for electric and electronic supplies. We have started buying more of our equipment as permitted financially, but that is mostly preparing for a rationing of care type situation. I know that because he doesn’t “add” anything back to society, he will be one of the first to have services and supplies cut, when/if that happens. To anyone who is preparing with family with limited functions, I have very few words of wisdom other than these. 1. Stock up on medications – I have as many generic medications as I can get. Insurance will only permit a refill every 25 days on most (14 days on respiratory treatments), so I fill as often as I am able, and rotate what medications I can purchase (yes you can purchase additional refills. The limit on refilling is only limited to what you file through your insurance). My pharmacy works with me to work out a rotation plan. The reason I give them is that I want to have a 30-60 day on hand supply in case of tornadoes/heavy snow/ice. They understand and appreciate my forethought in this so there is less pressure on them in an emergency situation. Might I recommend a small locally owned pharmacy? They are usually easier to work with in these instances. 2. A Nursing Med book – Get one so that you can properly ensure you administer any stocked up drugs… or maybe that fish-mox you picked up in your preps. 3. Medical supplies– Anything you need to care for your loved one. For us, it’s pulse-ox probes and 4x4s and gloves, and diapers and feeding tubes (with foley caths as backup to mickey buttons for feedings). Set up with a durable medical supply to auto fill those EVERY month. You might not use all of it every month, but that is how you start your surplus. I currently have 20 boxes of both medium and large medical gloves. You can NEVER have enough. As far as our family is concerned, I know the above things to be true and these are the things I have done. I can’t speak for other states, or even counties within my state, or all insurance companies. Please don’t take this as hard and fast truth for you. I just know these things have helped us in our plight to be able to take care of our family. These are merely suggestions to get you started, thinking strategically, figuring out ways to make do with what you have to stock up for the future. Outstanding article! 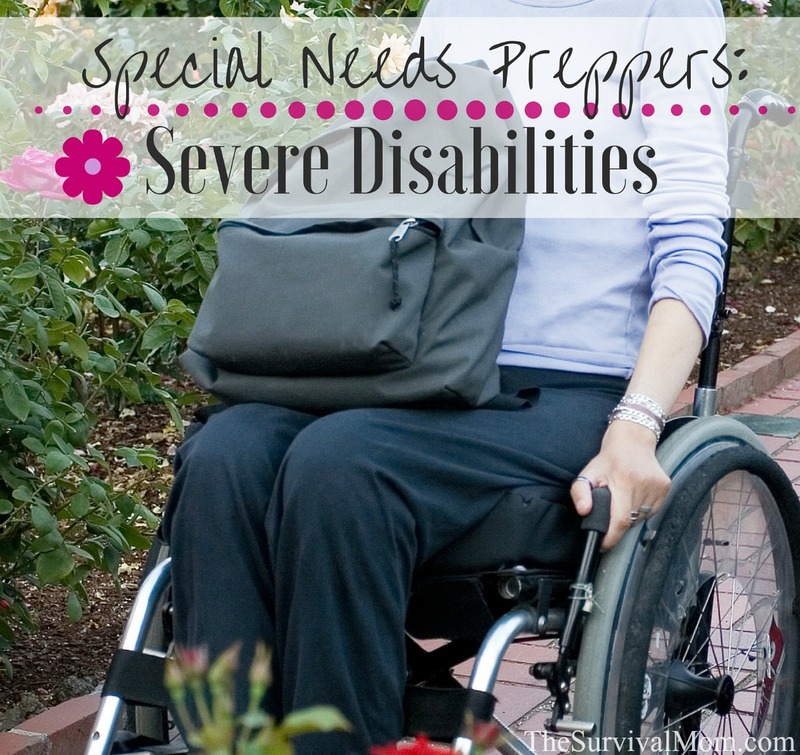 People who care for family/friends who are “disabled” have special requirements for prepping. A small, private pharmacy has more time, interest, and concern to help their customers deal with difficult scenarios. (Do not start me on those scoundrels CVS.) Never go down the Prepper Path of questioning the pharmacist or your doctor or any health worker-unless you KNOW they are on the same pathway. We live in dangerous times, so I would go the tornado/hurricane/earthquake/I’m just a worrier train of questioning. Something like:”Well, Hurricane Sandy was months ago and people are still without housing and utilities. I worry that Aunt Jane/Uncle Mosel/my son Cory won’t be able to get their medications.” Most medical people are still honoring their oaths of service, commitment, and care so you should get good advice and direction. Don’t be afraid to stockpile things other than medication. If you need braces, crutches, wheelchairs, etc. Check out second hand stores-amazingly I have seen like new equipment! Craigslist, garage sales, etc. A just in case wizard might snag a pair of crutches for $10 that would come in real handy if someone breaks a leg-in TEOTWAWKI or a ski accident. Also, go to a medical supply store, explain your needs, and ask them to notify you of any sales. You would be surprised what goes on sale. Either use the attic or put up on of those garage ceiling hangers for Prepper Stuff that won’t be used until SHTF. You can get a lot in a small space if you stack well, and some things can be broken down by unscrewing, etc. Do some reading on your particular needs. Check out research groups. They have tons of literature, can recommend books, have support groups, etc. Also look for pointers on diet. You would be amazed how much our diets affect our health. I personally have the early stage of macular degeneration. I have found a vitamin that I faithfully take 2x a day that was part of the AREDS study. My retina specialist told me how healthy my eyes looked on the last visit-so I am stockpiling those pills! There is more than one way to get around the insurance rules. We prep to survive! I’d love to know the supplement, so I can buy some too. The vitamins are called ICAPS by Alcon Laboratories. I am a true believer in these things. Before taking them, my eyes would sometimes feel so sore-like I had been socked in the eye. My eyes were painful to touch. I have been taking ICAPS for over a year and have none of my old problems. These are in my stockpile! I am blessed to have an amazing DME (durable medical equipment) company, and because we have so much that goes through them, I often get freebies (fingertip pulse ox probe was the most recent). They make a lot of money off of us, so they are a blessing back to us. We live in a pretty rural area, so I am grateful for that. Our established relationship makes this possible. Finding the right companies that work best for you takes time (10 years for me) but is worth the hunt, I promise! Having studied herbs you might also consider slippery elm bark. In its powdered form you can make a gruel and use that as it is packed with nutrition as well. Herbology books are on my amazon wish list! I have slowly accumulated a nice library. Essential Oils is next on my list too! My youngest son has asthma. We have a decent stockpile of his Rxs, but after reading One Second After, I kicked into high gear in researching and gathering alternative treatments for him! I also have recipes for cough remedies and mucus relief. I’ve stockpiled the ingredients but also hope to grow some of the plants. I truly hope that nothing catastrophic puts our society in such a terrible state, but if it DOES happen, I will do my best to keep my child breathing! I also have asthma, so I’ve been storing some extra prescrition enhalers since 2008. A few months ago I checked those supplies and the ones dated in 2008 and 2009 were no good. In my house I seem to be the only person who’s concerned for tommorrow and it is a daunting task to try to stock up on anything wether it is meds or sustenance. Also I have many ailments and that requires a mountain of meds, I currently take 33 pills a day plus my enhalers, am half blind, partially deaf and havve other ailments that medicince can’t help. Now with all my problems I try to stay chipper all day at work and home and that’s becoming incresingly difficult, but my heart really goes out to anyone who has small kids with the types of ailments the author relates to. GOD bless her family! Agree. Having a sick child during the best of times is difficult enough, can’t imagine in a grid down situation . Have you tried any of these to see if they work? I am totally curious! The only thing we’ve used is caffeine. My DS knows if he has an attack, which is rare (PTL!) he can get a cola or some black coffee to get relief. It’s temporary, but DOES work! We have NOT tried the other remedies. Perhaps we should…just to make sure! Be careful with commercial chamomile. If your son is allergic to ragweed, it can be dangerous. Some companies don’t bother to check to see if it’s ragweed or chamomile when they make the teas. I found out the hard way. I HAVE ASTHMA AND IT IS DIFFICULT TO STOCK UP ON EXTRA INHALERS. THEY ARE VERY EXSPENSIVE AND SINCE OBAMACARE SET IN MEDS WENT FROM 75$ A MONTH TO OVER 500$ A MONTH. IT HAS NOW BECOME IMPOSSIBLE TO HAVE ANYTHING EXTRA. WHAT A MESS TO HAVE TO WORRY ABOUT IF SOMETHING HAPPENS AND I CANT GET MY MEDICATIONS ANYMORE. IVE BEEN TRYING TO CONSERVE AND USE THEM AS LITTLE AS POSSIBLE BUT ITS HARD WHEN YOU CANT BREATH. For asthma, there are several natural med. options. I’ve used these extensively with one of my children who has been cured from it. Take L-Taurine, an amino acid, for strengthening the lungs, daily 500 mg.
Take ALJ liquid from Nature’s Sunshine Products. You can take it for closer doses than on the bottle. I’ve used it as often as needed, even every 20 minutes. Grow those herbs yourself and learn how to make a glycerin tincture like it. Use eucalyptus oil on the chest beside the nose, under the chin, and after the shower, put it on the reflex spots under the base of the toes and all that area. Also in the middle of the instep. If that is still not enough, have someone fry an onion in olive oil until half translucent. Stir in organic cornmeal until paste consistency, then put it on a diaper rag or similar. When cool enough, put it on the chest along with the above eucalyptus essential oil (get a good brand for this purpose like young living or doterra). This should help. Use in a non-emergency situation to get used to it and instruct someone how to be a helper. If you do some of these things early it may ward off a potential asthma attack. If colds are the culprit, and then asthma, do things such as elderberry syrup (like Sambucus or learn to make it yourself) and Vitamin C with quercetin (onion based, I like twinlab quercetin + C) to strengthen the immune system. If it is activity set off asthma, take things to oxygenate the blood like CoQ10 (ubiquinol, or ubiquinone forms), and be on magnesium regularly. Vit C is always important. You can also take herbals regularly to strengthen the lungs, like lung and bronchial, or congestaway. There are other methods, one is to strengthen the immune system by avoiding sugar and sugary drinks, losing weight, finding allergenic foods (most often gmo corn and wheat products, adulterated and gmo fed cow milk from the grocerystore, gmo fed chicken and eggs, gmo peanuts, etc. you get the picture) by a rotation diet, etc. Just look on the internet for ideas. I used to have to pay cash for RX Meds. Insurance did not cover. So I am on many generics as possible. I used to be on the Walgreens savings card program. It saved me quite a bit. Then one day while shopping at Sams’s Club I stopped by the pharmacy and asked the pharmacist to price my list of Meds. I’m disabled and take over 25 Meds daily. With a business membership which is slightly more than the basic membership I saved 40% over thier regular cost. On just 1 RX I saved $200/month. Overall I saved about $500-600 monthly. Now we have insurance that covers Meds. Since I am on generics I am finding many are coming out free $0. The staff at Sam’s always treats everyone like a small hometown family pharmacy. They will give you time if needed. That day I dropped in the pharmacist spent over an hour looking up my Meds and then went over cost of them on the various membership plans. But you can go there without a membership. You will still save a lot but for $50 year you save a lot more. Now that I’m insured, I have asked them to give me the cash price with membership discount if it beats my insurance by more than $15 on any RX med. they do this for me. Not sure where you go but looking into the Sams club really saved me a big bundle! I have elderly parents 90+, one of whom has had a stroke. The only way to help them is to bug in. No way could we move them. It makes for a very hard decision. I totally understand Howard. One of our prep focuses this year has been building a house that is adequate for a bug in. 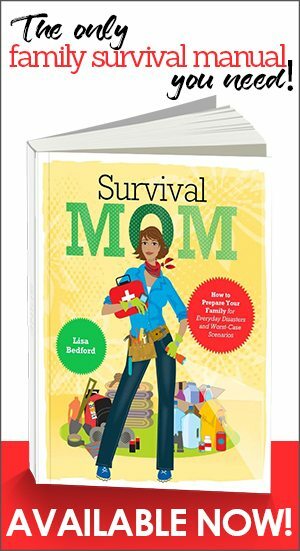 We are outgrowing this one, and I am ready to be in something that meets both of my sons needs, as well as our homesteading desires. Those of us who don’t have disabled family members need to be aware of where folks with disabilities are in our communities–just remembering to check on neighbors and bring them a pot of soup or a few bottles of water can mean the difference between life and comfort and suffering and death. I have a BSN degree, for instance–I could be of assistance in an emergency when someone needs an IV or a catheter placed or some other specialized bit of care. 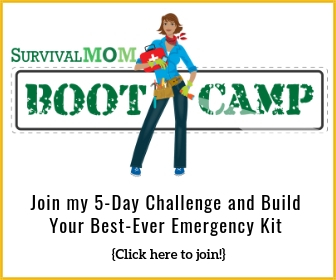 I also like Sharon Astyk’s take on food preps, where she asks people who don’t have children to store some formula, in case of an emergency situation where the mother of a baby could be unable to nurse. It’s a pretty small investment that could someday save a life. What is it that ya’ll could do for the fragile people in your family or neighborhood? I’m with you Raven. No babies left here, but I keep a small supply of formula, baby food/cereal, diapers, pacifiers and baby bottles. Not a big supply, but enough to last a few days. If things get really bad, there WILL be a baby boom 9 months later. I am a nurse, too and am planning to help out anyone with disabilities if necessary. We have huge medical stocks here an if things get really bad, I am expecting visitors with medical needs. Heck, it already happens as my husband is an MD so weekends we are often stitching up someone’s kid. 2 of my 3 kids have autism. They are both doing great and I don’t really expect their disabilities to be a problem for a long term SHTF scenario. My elderly grandmother who is living with us would be a problem though. She is 94 and quite frail. I have stocked up as much of her meds as possible. It’s been hard as they seem to change every month or two. I have an extra cane and walker for her, and I keep a wheelchair in the basement. She is continent, but I keep bedpads and adult diapers. I have powdered Ensure in my stocks. I think if you have someone in your home with physical disabilities that require a lot of care, an important prep would be having someone else who knows how to provide the care if you are unable . Just getting a good nights sleep is very important for a caretaker. Having someone who knows how to care for the disabled person would be huge. I can teach my kids or neighbor to change a bandage or whatever. Even having easy to follow detailed instructions available would be helpful if back up care was needed on short notice. Great point about bed pads! I was fortunate enough to have a lady in our church machine quilt several layers of diaper cloth together, and then I surged the water proof material (cloth diaper) onto the back. I have enough of this for years. My husband’s first wife was a 4th year vet student when she passed away, so he still has all her “operating” tools, and we have stocked on suture kits, etc. Respite is so important for people with family they are caring for… I am so fortunate to have my oldest daughter, my husband, and an amazing church family. Thank you for this post! My son is also severely disabled, has a feeding tube, seizure disorder, uses oxygen, etc. if things go bad fast, our biggest concern is getting his meds. Without his seizure meds, he starts seizing within a day. Obviously, tube feeding supplies are important too since he can take nothing by mouth. Amanda-I totally get it! One thing you can stock up on (I can’t remember if I needed a doctors order for it or not) is regular straight catheters that match the same size as the mickey buttons you are using. It’s cheaper than the MB kit (think $30 instead of $200), and you can kink it off with a rubber band if you need to. Also, if you are using an MB and not a catheter, instead of changing it out every 2 months you can make it stretch to every three, and continue to fill as every 2. When insurance hassled us and we had a hard time getting them, we had to make one last 4 months. With good cleaning care, you can make it stretch! You can also get extra extensions, without the kits. We have looked into getting a used concentrator on payment plan as well. Otherwise, look into alternative tank options. Wish you luck, and know I am right there with you!!! DH & I have been trying to stockpile when we can. He’s a type 1 diabetic so getting enough insulin, test strips and batteries for his pump and glucometer is important. His endo has been great on working with us to help stock up. Now I just need to save enough money for a propane fridge so if the power goes out long term we have a place to safely store his meds (our current house is not suited well for solar or wind power). DD#1 is an asthmatic and of course her daily maintenance meds have been hard to come by lately as there seems to be a nationwide shortage. Our plan is to get them changes to something we can end up stockpiling and I need to do more research on alternative/herbal treatments. The survival Nurse on Youtube (please correct me if I am wrong here guys!) did a video on how to create a “cache” for your insulin… you might check that out until you get the propane fridge worked out! There is a lot of awesome information I didn’t know about in the comments of this thread Jen. We have had a hard time with seizure meds doing that, but I think the pharmacy has it worked out now, and that is one of my focuses. 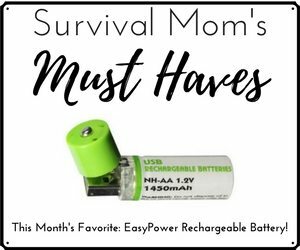 You might try Essential Survival. 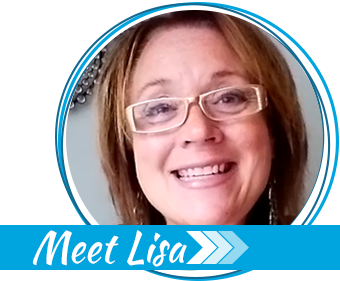 She is great with medical conditions and helping you find alternatives to at least see if they work. I wish you the best of luck! 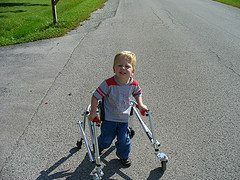 We have 3 children with very significant disability needs. I’ve been able to stock up on some of our daughter’s formulas and diapers, but I’m very concerned about her medications. We can only get a one month’s supply at a time. Some of her meds are controlled – valium and the same with our son’s ritalin. I’m looking for herbal replacements for seizure meds and for the ritalin. Hi- speaking of Ritalin, my son is on Concerta; but before he was we used a TRaditional Chinese Medicine with great success. peaceful Focus by Blue Poppy Herbs, Boulder CO. Pretty sure you have to buy it from a practitioner. I consulted a clinical nutritionist who does TCM. This lady is worth her weight in chocolate. She helped us a lot and the consult was well worth the money. Not to be ghoulish, but another source for medical supplies is from the families of recently deceased people. Often the families find, when cleaning out a relative’s home, quantities of medical and personal care supplies that they have no use for. Elderly patients often have packages of catheters, dressings, adult diapers, and other materials. I’ve helped people with cleanouts and never had anyone not want to donate these unused supplies. If you have a particular need, speak to local religious leaders, home-care companies and staffers, food pantries and the like.